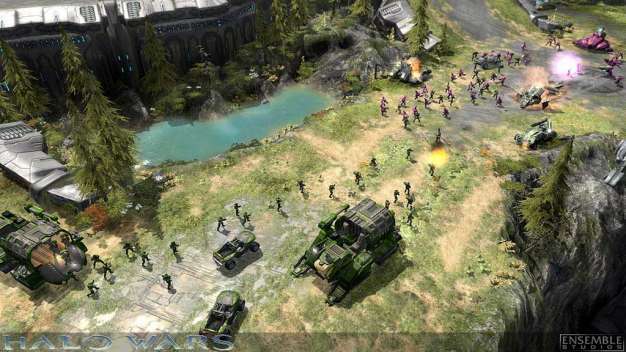 Looks like Microsoft is going to be pulling the plug on quite a few community services attached to Halo Wars, the series’ one and only real-time strategy entry, this coming December 15. In a recent announcement on the game’s official forum, the news was broken as a “transition” to the broader forums of Halo Waypoint. With that transition is the shutting down of the official web site. Attached to that web site was the game’s stat tracking and leaderboards, which means is that come December 15, all online leaderboards and stat tracking will cease. The thread shows more than a little dismay at the news. Check it out if you want to see a prime example of a disappointed community. It’s too bad. While the game in no way rakes in the number of players that any first-person shooting Halo (read: just about all of them) does, a quick look at the game’s stats shows that a fair sum of people still play. As of this writing, in the last 24 hours there were 31,981 players online, and 21,265 matches were played. Doesn’t sound like much compared to Halo 3’s 303,950 matches, but it’s quite a few to let down all the same, especially when the game is only two years old.